Some travel/tourism project updates for you! I’ve written an article on behalf of Cathay Pacific for Vancouver Magazine on their luxurious new A350 plane. Anyone who wants to go to Hong Kong will definitely want to book this flight after reading the link below! Chinese food and a luxurious non-stop flight to Hong Kong? I know I’m there! Church in the northern town of Holmavik. In part two of my three part series on my recent travels to Iceland, I’ll be focusing on interesting and fun facts about Icelandic history, including how Iceland is historically connected to Canada. It was a definite eye opener traversing through the Icelandic Museum of Witchcraft and Sorcery in the quaint northern town of Holmavik, appropriately enough, on Halloween and then the Viking World Museum in the airport town of Keflavik. It was fun, enlightening and definitely worth the visit. So without further ado, here are some really cool facts that I learned about Icelandic history. If you’re curious about business in Iceland, check out part one of Discovering Iceland for an overview of Iceland’s tech industry. The Icelandic Museum of Witchcraft and Sorcery might be on the small side, but it was chalk full of eye opening bits of history and artifacts. One of the coolest things we came across was an actual stone bowl that held the only evidence that the Vikings held conducted ritual blood sacrifices. There was still dried blood in the bowl. Beyond that, there was a creepy true story in the form of a letter from a journalist who visited the museum, who had purchased a talisman in the form of a necklace, hoping that it’d cure him of a recent toothache. Instead of a cure, everything went wrong. Once he sent it back, however, everything went back to normal. The handy guidebooks we were given also had a plethora of different spells and incantations using different grimores and symbols. There were spells for invisibility, catching a thief, healing minor wounds and protecting livestock. However, there was an entirely darker and more sinister side to the spells as well. People had been accused of harming livestock, causing ships to crash along the shores and making their neighbors to fall ill. List of those executed for witchcraft. One of the most eye opening facts that stuck with me out of the entire excursion to the Icelandic Museum of Witchcraft and Sorcery is that Icelandic witchcraft history is almost EXACTLY the inverse of the Salem Witch Trials across the border in the US. Of those 21 people accused and executed, only ONE of them was a woman. That’s right, witchcraft in Iceland, historically, was practiced by men. In fact, based on the museum exhibits, there was only one spell really, that women were commonly known to have conjured and it involved creating their own monstrous ‘pets’ that grew out of their thighs and that needed to be fed human milk. I couldn’t see the use of that particular spell during the 1660s so I moved on pretty quick after reading that. Re-enactment of raising the dead. The first man to be accused of witchcraft and burned at the stake in 1652, Jón Rõgnvaldsson, had been accused of raising the dead. Clearly, even though that word wasn’t in use at the time, Icelanders feared the idea of zombies. Just seeing the creepy re-enactment on the floor of the museum was enough for your skin to crawl. It was by far, the most unique case of witchcraft I came across. Others had been accused of controlling predatory animals such as foxes to kill livestock, causing their neighbors to fall ill or stealing money and valuables. Not surprisingly, many of those doing the accusing held positions of political power, something Iceland’s witchcraft past shares with Salem. You had mayors and magistrates doing the accusing or their family members leveraging said relationships to get people they hated into court. Of course, these judges and mayors also found themselves accused from time to time and while their influence was usually kept them from execution, they weren’t always so lucky. We traveled to the Sorcerer’s Cottage, about half an hour away from the Icelandic Museum of Witchcraft and Sorcery to see the flip side of how the people who often got accused, used to live. Indeed, most of the people who were accused of witchcraft were poor fishermen and their families who lived in one-room cottages and who barely scraped by when it came to food and hunting enough animals to create warm clothing for the winter. They built their homes from discarded driftwood and really didn’t have the means or the resources to often defend themselves from accusations of witchcraft. The prevailing belief was that they turned to the supernatural to try and raise their stations in life, even if that belief turned out to be false. On our second to last day in Iceland, we stopped in at the Viking World Museum in the airport town of Keflavik as my husband had been wanting to take in some Viking history on this trip. Notable exhibits included a replica of the ships that were used for Viking funerals, filled with objects that meant something to the deceased in life and that would carry them on the journey to Valhalla. The boats were then lit on fire and pushed out into the water on their journey. I also enjoyed taking a look at the exhibit featuring the quern stone which indicated that early settlers to Iceland had tried-and failed-in their attempts to grind local lyme grass into flour. There was even an interesting exhibition on Norse mythology known as Fate of the Gods with all the pieces put together by contemporary Icelandic artists and featuring the World Tree, otherwise known as Yggdrasil. Marvel Cinematic nerds like me will recognize that name as the tree that connects all the worlds together, meaning Asgard to Midgard (Earth), Helheim and more. However, the most eye opening part of the Viking World Museum was definitely how the Vikings were connected and continue to be connected to Canada. By now, I’m sure many people have heard about how ruins of a Viking settlement had been found in Newfoundland and Labrador and that Leifur Eirikkson had made the journey to Canada approximately around 870 AD. In fact, artifacts known as Tupliaks, carved by Canada’s Inuit population have been found in Iceland, indicating that they’d come in contact with Eirikkson’s Vikings and conducted trade. The talented shipwright, Gunnar Eggertsson, re-created a replica of Eirikkson’s ship known as Íslendingur, which he sailed to North America in 2000 to commemorate Leifur Eirikkson’s journey to the New World 1000 years before. The ship arrived in Newfoundland in July 2000 and the Special Celebrations Corporation of Newfoundland and Labrador, Canada, hosted a magor celebration on July 28, when the Íslendingur arrived in L’anse aux Meadows, the only authenticated Viking site in North America. They received several gifts from the mayor and the delegation to commemorate the anniversary, including a commemorative plaque, Tupliaks, a commemorative plate and even a soapstone carving. Íslendingur was suspended on ropes and we could walk onto the deck of it and remarkably, considering the ship was built in 1995 and it endured such a long journey, it was in great shape. It was definitely humbling to walk on the deck of something that had been built by hand and re-created one of the greatest historical journeys connecting Iceland to Canada. Stay tuned for part three of my blog series on Discovering Iceland, this time focusing on aspects of the Icelandic lifestyle. In the meantime, check out my insights on the Icelandic tech industry in Discovering Iceland Part 1. A view of the Reykjavik skyline from the observation deck of the Perlan. On a recent trip to Iceland, I had the opportunity of a lifetime to explore the city of Reykjavik and the rest of the country and learn about their culture. This is part one of a blog series that I’m developing featuring tidbits of my vacation to Iceland and insights into some of the things I’d learned about their lifestyle, industry and history. Part one will feature insights into Iceland’s tech industry with the upcoming parts 2 and 3 focusing on interesting and fun tidbits of the country’s history and lifestyle. The stunning glass architecture of the iconic Harpa Conference Center. Before I landed in Reykjavik, I had vague notions of what to expect in the capital city and in Iceland in general. I had an idea of what to expect regarding their food, landmarks I wanted to see and of course, geothermal pools I wanted to soak in. But I didn’t know much about their tech industry. It was a definite eye opener to see how Iceland has started to become a hot bed for industries such as virtual reality gaming, special effects and home grown start-ups. Walking down the Shore and Sculpture path en route to the iconic Harpa Concert Hall and Conference Centre along the harbour in downtown Reykjavik, I was definitely surprised to see the Microsoft logo emblazoned on a building. I didn’t think Iceland had a population large enough to sustain a corporate office for Microsoft, yet there they were. Based on some research, it looks like the Reykjavik office has their own division that manages product marketing for office products and deals with legal affairs surrounding customer data protection in Europe. Near as I could tell, it doesn’t seem like the Iceland office has a software development division, but it was still a welcome surprise to see that the Seattle based tech giant made the leap. Iceland actually has a sculpture dedicated to a video game. That’s right, the sculpture in the above photo is dedicated to EVE Online, one of the world’s biggest and popular MMORPGs (massive multi-player online roleplaying games) developed by video game powerhouse CCP Games. Not only can you participate in different forms of combat from player versus player to player versus environment in the game, but you can also take up several occupations from mining and manufacturing to exploring and trading. CCP Games is also a pioneer in virtual reality gaming in Iceland with more than one of their titles. Gunjack, a virtual reality arcade shooter was released for the Samsung Gear VR in 2015 and the Oculus Rift and HTC Vive in 2016 and EVE: Valkyrie, a first person space combat simulator was released for the Oculus Rift, Playstation VR and HTC Vive in 2016. But they’re not the only gaming company in Reykjavik developing virtual reality titles. Gaming startup Sólfar Studios specializes purely in VR games with several titles such as Everest VR and Godling available exclusively on VR platforms such as Oculus Rift, Playstation VR and HTC Vive. Reykjavik’s harbor district is also an up and coming area for special effects in film and television. Local company RVX, founded in 2008, has provided VFX supervision for the Harry Potter film franchise, Hollywood blockbusters such as 2 Guns and Contraband and Tinker Tailor Soldier Spy. Other start-ups outside of video games and VFX effects have started up in Iceland as well, thanks in part to the annual Startup Iceland tech conference. I discovered Bungalo, a great accommodation site that allows travelers to find local cottages where hotels, hostels and bed & breakfasts are harder to come by. It’s Iceland’s largest cottage marketplace with accommodations all over the country. Although we didn’t go with them this time, I definitely think it might be worth trying to book through them for our next Iceland trip. 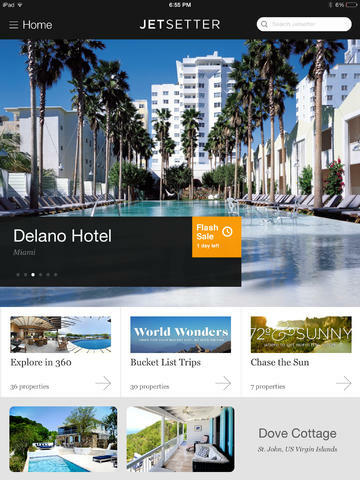 A success story in the hospitality industry, Blendin isn’t just another app that gives users information like the times bars and clubs are open. Nominated for Nordic start up of the years in 2014, it even connects friendship groups together in one go, eliminating the need to create separate event invites on Facebook. On the tech side, Activity Stream is developing operational intelligence software. The software monitors a company’s operations and uses artificial intelligence to improve daily operations and customer support. This vacation was an eye opener when it came to learning about Iceland’s tech and gaming industry. But that’s not the only thing I learned about Iceland. Next up, fun, interesting and thought provoking facts that I learned about Icelandic history in Part 2 of Discovering Iceland. Planning a vacation should be about enjoying the journey of discovering all the options of destinations, attractions and activities available to you-and avoiding the stress of last-minute cramming and rushing. Even after you decide on a destination, you have to make a decision on transportation (flight, road trip, cruise etc.) and decide on what kind of accommodations you’d like to stay in during your vacation and the types of attractions & landmarks you want to experience. Overall, planning a fun, exciting and possibly romantic trip is all about making decisions. But, the key element to creating the best itinerary for any vacation is a stress-free, seamless decision making process. How do you go about having a seamless vacation planning process? By choosing the right websites and apps, of course. Although large vacation sites such as Expedia and Travelocity have their place, don’t be fooled into thinking that these are the best-or the only-websites for your travel planning. So which apps and websites should you turn to? Well, I’m glad you asked! As an extra bonus for brides and grooms mired in wedding planning, I’m going to expand my usual top 5 list for this blog series to include NINE of the best apps & websites that I’ve discovered that will help you plan the perfect honeymoon with the itinerary of your dreams! After all, with all the work you’ve been doing to plan your wedding, you deserve a well-earned, fun, adventurous and romantic honeymoon. Without further ado, here’s the list of top 9 (in no particular order) of the best apps and websites for planning your honeymoon. Why It’s Awesome: TripIt magically organizes all of your travel plans in one place so you can access them anytime, anywhere—in the airport or on the road (even when you don’t have an Internet connection.) Just hit forward to send the team all of your hotel, airline, car rental, and restaurant reservations and they’ll take care of it. Want to add a few notes, links, or recommendations? Just click Add Plans and enter away. The TripIt master itinerary has all the details you need, plus maps, directions and weather, so you can keep calm and carry on. It keeps all of your travel plans in one spot and stay organized with separate itineraries for every destination—ideal for frequent travelers. 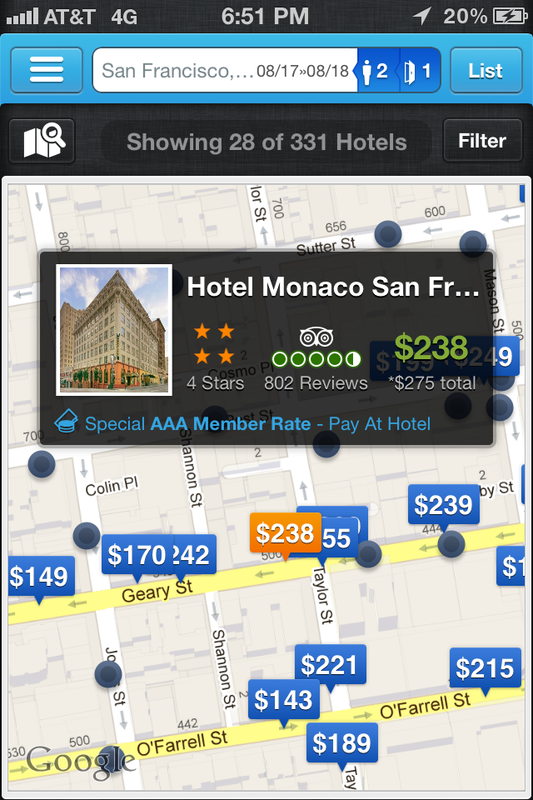 You can access trip details whenever and wherever you need them—on your smartphone, tablet or online at tripit.com. You can also easily add or edit plans manually right from the app or on tripit.com and receive daily weather forecasts, directions and maps for each destination as well as use map-based search to find restaurants, businesses and attractions, then add them to your trip itinerary in one click. 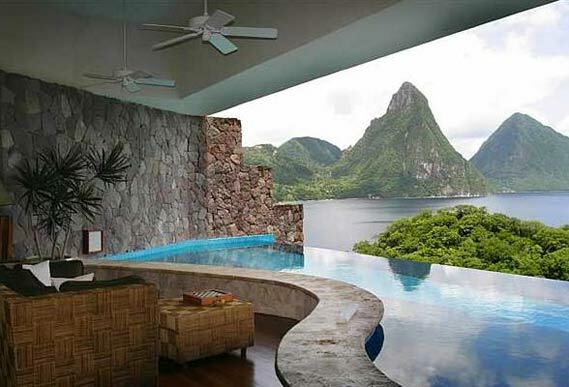 Why It’s Awesome: Jetsetter provides insider access to the world’s greatest hotels, vacation homes and tour packages. With the app you can enjoy panoramic photography, first-hand reviews, and access Jetsetter’s exclusive flash sales — up to 50% off daily. Browse panoramic pictures and 360-degree room tours, read first-hand reviews and grab insider tips and search and discover hundreds of the world’s greatest vacations, from boutique hotels in New York City to charming villas in Tuscany. You can also access Jetsetter’s members-only deals at up to 50% off and iPad exclusive offers without having to join. Why It’s Awesome: Find the perfect vacation rental with this app! Compare thousands of dream rentals right on your iPhone/iPad. It covers all US destinations, including hot spots like Hawaii, Cape Cod, Gatlinburg, Orlando, Outer Banks, San Diego and many others. There are over 80,000 vacation rentals and 1,000,000 photos that you can browse through the regional map and your search results will be automatically filtered by date, beds, price or amenity. Why It’s Awesome: It’s a European vacation, complete with an interactive map! You decide on your travel dates and it takes you to an interactive map of Europe where you can choose the county and/or city you want to travel to. Then an interactive menu pops up where you can choose your lodging for the trip. Each menu not only has photos of the hotel, descriptions of the amenities and ratings, but once you click to book a room, an interactive map will pop up. The map shows you the locations of all the restaurants, attractions, landmarks and amenities in the area with icons, descriptions, photos, ratings and reviews of each place. It’ll even give you general price ranges that you can expect to spend at each place. Why It’s Awesome: Not only does YourTour allow you to generate city trips on the spot, but it goes beyond the city setting to offer you visits to whole regions: after all, wouldn’t it be a shame to visit Paris and then find that your adviser never mentioned Versailles to you? YourTour is currently the only travel generator which covers all of a city, one or more regions or even a whole country. What’s more, YourTour will automatically plan hotels to suit your trip and you can make all your reservations in just one click. It’s the only tool that will generate you a real trip complete with reservations based on the preferences and budget you’ve indicated. 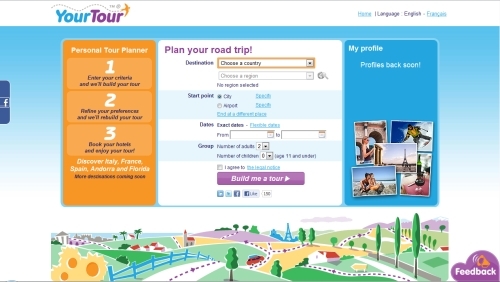 The YourTour.com website is based on a unique calculation engine that combines mainly hotels and activities in order to generate several million tours in a few seconds. YourTour’s calculation engine matches the attractions and hotels to your tastes and preferences (modifiable in the “Personalize” tab), along with price, distance to be travelled, opening hours, availability, etc. Why It’s Awesome: This app is the fastest, easiest way to search for flights and hotels, by comparing all the top travel sites so you don’t have to. Unlike every other travel app out there, Hipmunk doesn’t just show you the cheapest flight first–the app sorts by “flight agony” instead, incorporating important factors like flight duration, number of layovers and price. 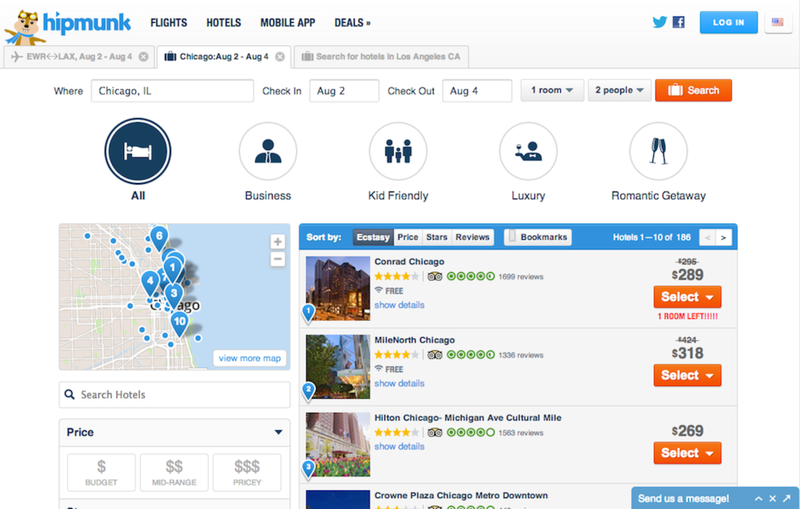 Hotel results are shown on a map so you can see exactly where you’ll be staying in a destination. You can also read TripAdvisor reviews in the app and turn on heatmaps to see the best areas to stay in based on unique interests like food, landmarks, nightlife and more. Why It’s Awesome: Room 77 is a hotel booking app that helps travelers find the most rates and book the best prices on 200,000+ hotels worldwide. In one search, travelers can compare rates across hundreds of leading travel sites, including Expedia, Priceline, Orbitz, Booking.com, Hotels.com and hotels directly, so they can be sure they are seeing the widest selection of rates and availability to get the best deal. You can easily search and find your perfect hotel from 200,000+ hotels worldwide, see more rates and room categories than anywhere else, so you always get the best deals and save up to 50% with AAA Member and Senior rates. You can also get the inside scoop on the best rooms in each hotel and after you book with Room 77, the team goes behind-the-scenes to get you a room matching your preferences. Want a quiet room or one with a view? They’ll hook you up. Why It’s Awesome: You can discover dream destinations, read top tips of where to go when, what to pack and golden rules from the experts on all things honeymoon. 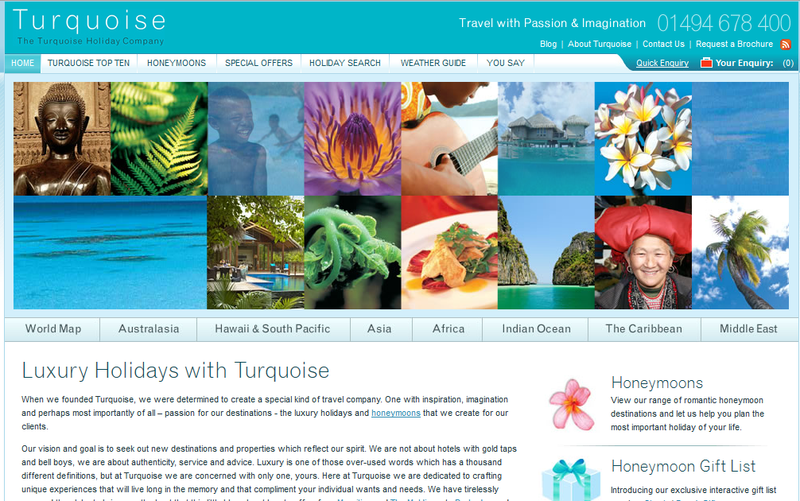 You can learn about Turquoise’s unique gift list service, where your guests can purchase gift cards that will go towards your honeymoon and enter a world of stunning landscapes, turquoise waters, white sandy beaches and once in a lifetime journeys. Features of this app include: honeymoon tips & ideas, interactive guides for 32 countries across the globe, packing tips, budget tips, destination guides including currency, visas and flight information, interactive maps, special offers, beautiful photos and accommodation photos & descriptions. 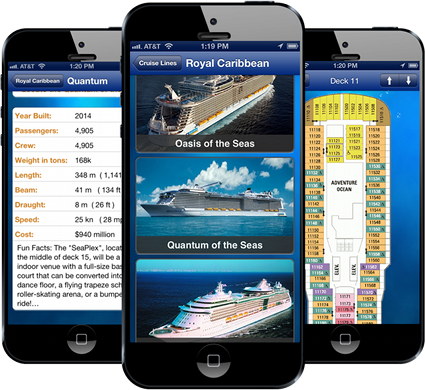 Why It’s Awesome: Now you can find all cruise ships itinerary in one app! Including the following cruise lines: Carnival Cruise Line, Royal Caribbean, Norwegian Cruise Line, Princess Cruises, Celebrity Cruises, Disney Cruise Line, Holland America, MSC, Oceania, P&O, Cunard, Oceania and Azamara. 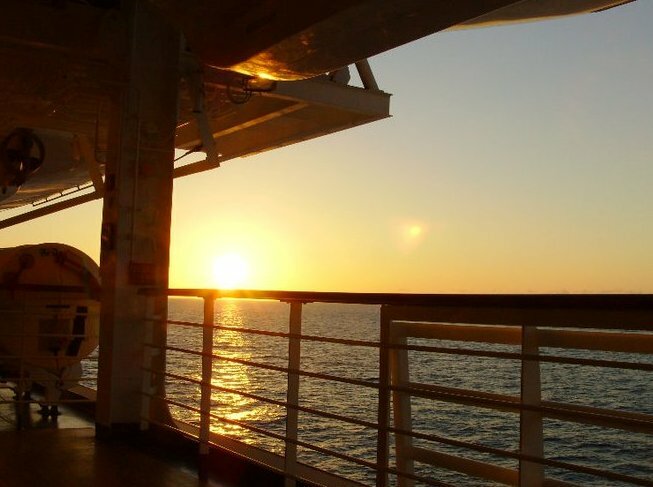 No matter which cruise line you’re traveling with, you can access all of these features: Cruise countdown clock, roll call, deck plans & cruise ship info, cruise port info (history, maps, locations, weather), excursion info, postcards, cruise itineraries, deck cams, cruising packing list, cruise ship tracker, vacation picture gallery and cruising tips. You will NOT need internet service to use the app on the ship. You can put your phone on “airplane mode” and still use the majority of Ship Mate’s features. I wanted to take this opportunity to update you all on new developments and projects as well as blog posts that I’m working on, that will be coming your way in the near future. In the coming weeks, you’ll be seeing blog posts on the Taste Victoria brunch at Vista 18, afternoon tea at the Empress as well as reviews of the eye-opening documentary ‘Art & Copy’ on the advertising industry and Malcolm Gladwell’s The Tipping Point (if you haven’t read the book, I highly recommend it, it’s a real eye-opener). I’ll also be talking about my experiences on one of Wilson’s Tours newest walking tours, ‘Saloons, Scandals & Sweets’ as well as my first trip up island to the Courtenay/Comox area and stay at the luxurious Old House Village Hotel & Spa. In the meantime, I’d like to tell you all about a new venture of mine that I’ve recently started on. A few months ago, I mentioned in a previous blog post that I’m expanding my list of writing services for clients to include tourism/travel writing, PR, blogging and social media. Part two of my shore excursion in Grand Cayman, swimming with the dolphins. My first trip to Madame Tussaud’s in Las Vegas. 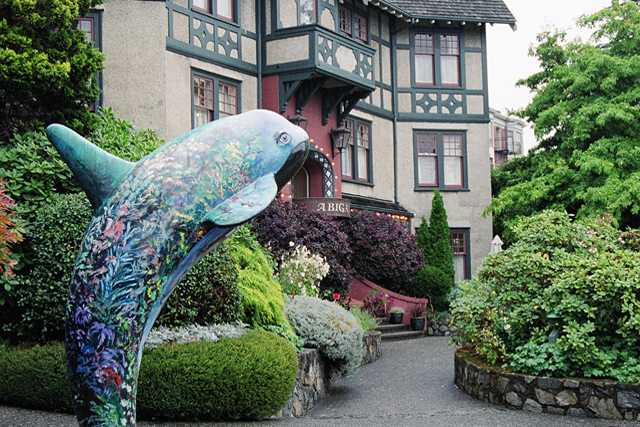 My journey through Filberg Heritage Lodge & Park during my first time in Comox. My experiences at Tigh-Na-Mara’s Grotto Spa and Treetop Tapas Lounge. Learning how to scuba dive from Wilson Diving. I plan on building on this list as I continue to write more articles about tourism, accommodations, attractions and events out there. Currently, I’m also working on a couple of pieces for Life As A Human.com, which I will post to the Online Writing section of my blog once they have been approved. I won’t reveal too much of what else I’m working on, however, I will say that I’ve also turned some of my attention to writing for magazines and here’s to hoping that I will have further published articles to share with you in the near future. Lilian Sue-In Retrospect Writing Service, Owner & Operator. To reflect my love of travel and desire to promote and raise awareness for Vancouver Island and the Lower Mainland’s accommodations, restaurants, attractions and culture, I’ve ventured into travel blogging, writing and marketing. What began a few years ago as a web copy project for jetPADs Luxury Vacation Rentals’ Vancouver and Los Angeles microsites, has blossomed into a strong desire to understand the unique challenges and the creative opportunities within Vancouver Island’s and the Lower Mainland’s tourism industries and experience the hospitality and one-of-a-kind attractions that my own backyard has to offer. In blogging and promoting these experiences, I hope to give travelers the world over a taste of why Vancouver Island and the Lower Mainland are-and continue to be, the absolute best destinations to travel to and allow them glimpses into the unique experiences, accommodations and attractions we offer. As I continue to add more travel/event/attraction experiences to my portfolio, they will be posted in the Online Writing Section of my site for your reading pleasure. Approximately a month ago, I received the opportunity to meet with key people working in some of the most beautiful hotel properties in the city. Some of these meetings also included tours, areas that many locals don’t get to experience, on account of rarely paying for a room at these properties. I thought I’d share some of my experiences on those tours and during those meetings. Hence, Part One of the Inside Look on a Luxury Property from a Local’s Perspective was born. The first installment will be on the luxurious bed-and-breakfast hotel, Abigail’s Hotel. I decided to share my thoughts of each property as a way of spreading the word to more locals to enjoy the city’s established, unique and beautiful accommodations as well as give tourists and travelers some extra information they may not receive elsewhere. At present, the Inside Look on a Luxury Property from a Local’s Perspective is looking like it will be a trilogy, however, I hope to keep adding to it as I experience more of the luxury hotel properties in the city and what they have to offer. Abigail’s was built in the 1930s as a Tudor revival- style apartment building known as the Bessborough Apartments. 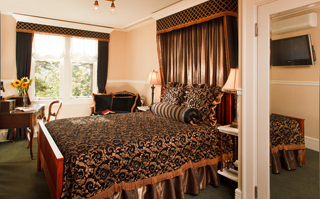 Until 1985, the Bessborough operated as a eight-suite luxury apartment building, it was then restored with all of its original Tudor architecture and turned into a 17 room bed and breakfast inn. 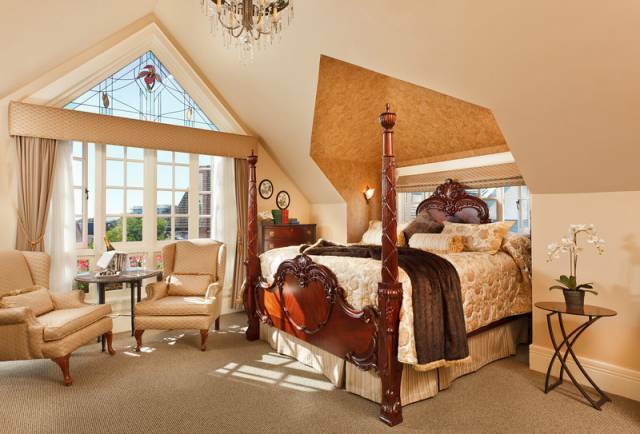 In 1998, the Coach House was built alongside the main house, adding six luxury guestrooms with wet bars, king-sized four poster beds, wood burning fireplaces and jetted tubs. In 2005, Abigail’s added a spa treatment room (The Pearl) providing their guests with more luxurious comfort and the best in manicures, pedicures, facials, massages and other spa treatments. It was a taste of this luxury that I experienced on my own personal tour of Abigail’s, conducted by none other than Abigail’s accommodating Director of Sales and Marketing, Allison Fairhurst. To say that I immediately felt at home upon walking into the front foyer of Abigail’s would be an understatement, I think. It was raining the day I visited and to step inside the warm, cozy and yet elegantly decorated foyer felt to me, like having a refuge from the storm. My next stop after the foyer was in the library, sitting comfortably on an armchair and enjoying a nice cup of tea while Allison and I chatted about the hotel. The library was beautiful, rich, dark wood from floor and ceiling and floor to ceiling books on top of it. Paired with soft armchairs and an oversized couch, it was like the majestic library from the movies, comfortable and elegant, yet full of knowledge. As we discussed the marketing techniques that Abigail’s used and how they reached their audiences to raise awareness about the hotel and increase reservations through social media and key tourism publications, Allison suggested taking a look at a few of the rooms they still had available for that week. from the bedsheets and duvet to the curtains. A roomy window seat added a touch of extra old-world class. Old-world elegance is the best way to describe it, with colors one would have expected to see on nobility in England in the 16th, 17th centuries. It was elegant without being pretentious and it was a color scheme befitting of luxury. 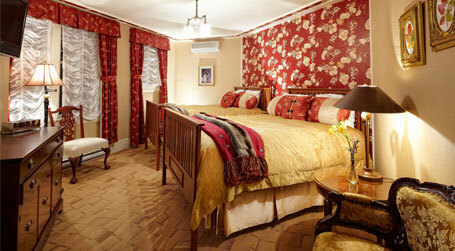 The next room I had the pleasure of viewing was the Country Room, Abigail’s second level room category. Slightly larger than the Sunflower Room in square footage, it had all the warmth and charm you’d expect out of something country themed, but without the overall heaviness of too many antiques, knick-knacks or panels of flowered wallpaper. The one feature wall with the red flowered wallpaper was tasteful and served as an anchor point to tie the rest of the room together. The room had the feeling of a cozy country cottage, which carried over to the bathroom. Unlike the smaller Sunflower Room, the Country Room had an old-fashioned claw foot tub, with a custom-fitted rain shower head, adding a touch of contemporary technology to the overall country farmhouse feel. The last room I had the opportunity to see was the Honeymoon Room, Abigail’s highest level room category. It was the epitome of luxury, with stained glass windows, vaulted ceilings, a king-sized four poster bed, wood-burning fireplace and a two person jetted tub and shower. Elegant fixtures and marble in the bathroom also added to the exquisite comfort. It was bright and airy and it fit the ideal dream of a honeymoon suite. It was more than a room, it was a getaway miles from the ordinary that I want the opportunity to experience for real. but through its unparalleled service. Abigail’s has the unique distinction of advertising in the bed and breakfast market as well as the hotel market and their service reflects this with daily gourmet breakfast (available through direct bookings), hors d’oeuvres between 5 and 7 pm daily, complimentary bottled water and fresh cookies in the rooms upon arrival. It’s this amazing service that I believe puts Abigail’s a step above the competition and that attracts me to look at Abigail’s as a potential place for me to celebrate my anniversary. I look forward to sharing more about my experience at Abigail’s after my next visit and hope to enjoy its unique and warm hospitality for myself. Thanks to Allison for the amazing tour, great conversation and inside look on Abigail’s Hotel. Months ago when my partner and I decided that a vacation was in order, our family members highly recommended that we think about taking a cruise with Princess Cruises. After all, they said, you wouldn’t have to worry about food or finding a place to stay and pretty much any spending money you have you could spend it on anything you wanted. Moreover, with a cruise, in a week, you’d get to see several destinations in an area of your choice, whether it be Europe or South East Asia or the Caribbean. Having heard several positive stories about the cruise experience over the last ten years, my partner and I decided that that’s what we would do for our vacation. Destination: Western Caribbean. Why Western Caribbean over Eastern or Southern? Well, everything we’d heard from our families, the itinerary was one we’d be interested in: Grand Cayman, Roatan, Honduras, Cozumel, Mexico and Princess’s own private island, Princess Cays in the Bahamas. By early December, our itinerary was confirmed, everything was booked and all we had to do was wait. The Princess Cruises’ motto is ‘Escape completely’ and I think we did that and much more. Part One will focus on our experiences on the ship and our time in The Grand Cayman and Roatan, Honduras. On first impression, the ship was huge as well as gorgeous. After the initial shock wore off, we discovered that the Crown Princess was large enough to carry over 3,000 people, 3,080 to be exact; not as grand as the Oasis from Royal Caribbean cruise lines which carries over 5,000 passengers, but still big. 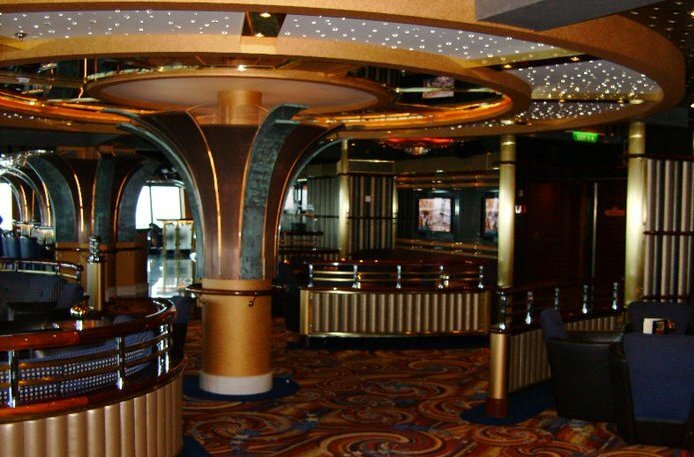 What features did the cruise ship have you ask? 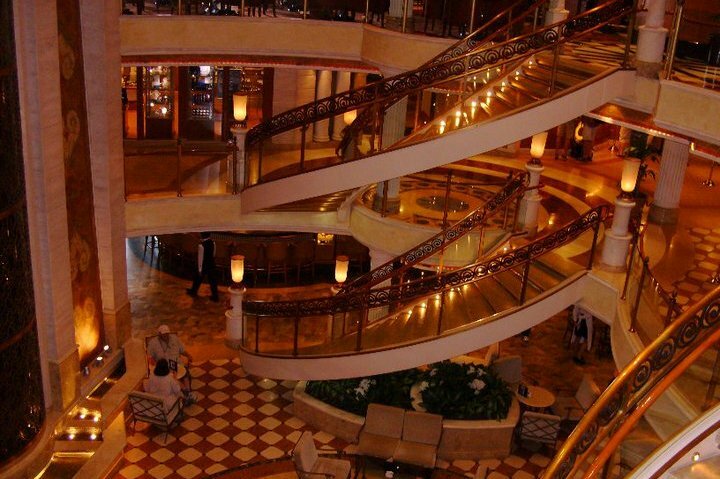 Well, a casino, three duty-free shops, an entire smorgasbord of dining, a wine bar, four lounge bars-and we saw all of that right when we walked onto the ship. What else was there? A spa, fitness centre, mini-golf, three pools, two hot tubs, poolside bars, two specialty restaurants, a café-the list goes on, but I can definitely say that being surrounded by all that for a week was absolute heaven. The crowning glory for me was the Piazza, an open-air plaza with the elevator going three floors up. The floors were gorgeous white marble with Romanesque columns flanking the main area. They held jazz performances and piano concerts there every day and there was something about its architecture that was reminiscent of Venice to me (or at least, the Venetian in Vegas). The International Café had tables in the Piazza and you could sit and enjoy enormous portions of three different types of gelato while listening to some amazing piano music. I’m not normally a fan of jazz, but some of the performances were incredible. I also loved watching movies on the deck, what the ship called ‘Movies Under the Stars’-basically the biggest projector screen you’ve ever seen in front of literally hundreds of deck loungers, blankets and free cookies and milk. It was definitely an experience to be curled up with my partner under blankets watching True Grit and hearing Jeff Bridges call Matt Damon a ‘nincompoop’, a good movie which I’d recommend. Last but not least, there are my favorite performances and lounges. Club Fusion was the site of one of our many triumphs during the week and Explorer’s Lounge was where of two of my favorite performances took place: comedians Peter Sasso and Cary Long. Peter Sasso, a New York native now living in San Franciso, was hilarious. My favorite bit from him was when he recalled a conversation with his stateroom steward where he asked the guy what the line that ran across the shower stall was for. It was technically a clothesline but the steward told him it was a line to hang himself on the last day when he saw his bill. Cary Long had some great bits about how his wife would discipline his kids, but I enjoyed Peter Sasso’s show more. The last performance we loved took place in the Princess Theatre, a hypnotist named Kellie Karl put on a great show. With people under hypnosis pretending to love her, be her fans and famous stars, it was a hilarious show. 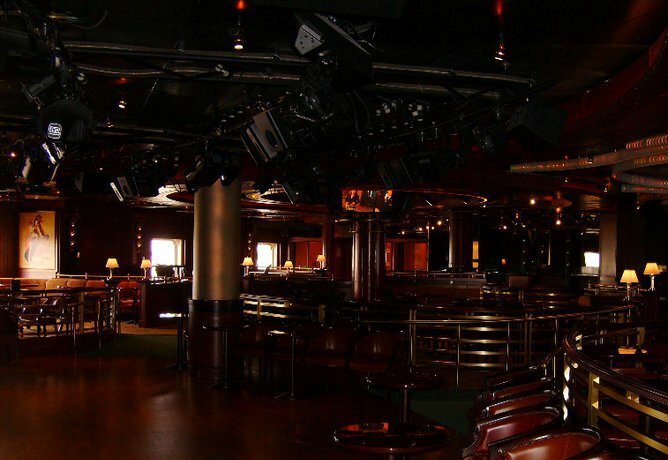 The closer was the best, with a number of people she touched on the shoulder becoming stuck to their chairs and they could only get free after shaking the cruise director’s hand. Seeing the last man on stage desperately doing whatever he could to block the cruise director’s path and get her to shake his hand was a riot. But…I’ll get back to the experiences on the ship later. Onwards to Grand Cayman. Yes, ladies and gentlemen, Grand Cayman is all about the rum, pirates and surprisingly, giant turtles. 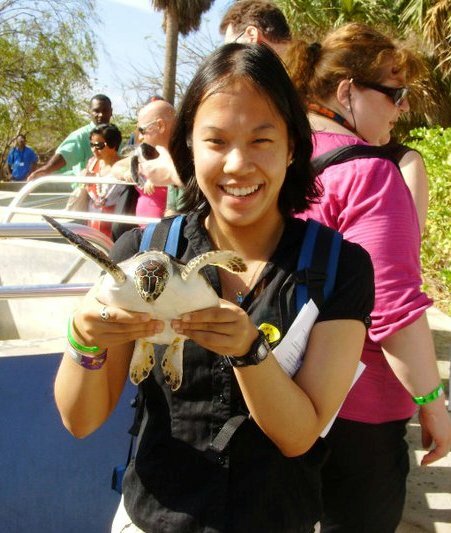 We signed up for a shore excursion that included a visit to the turtle breeding farm and the dolphin facility. 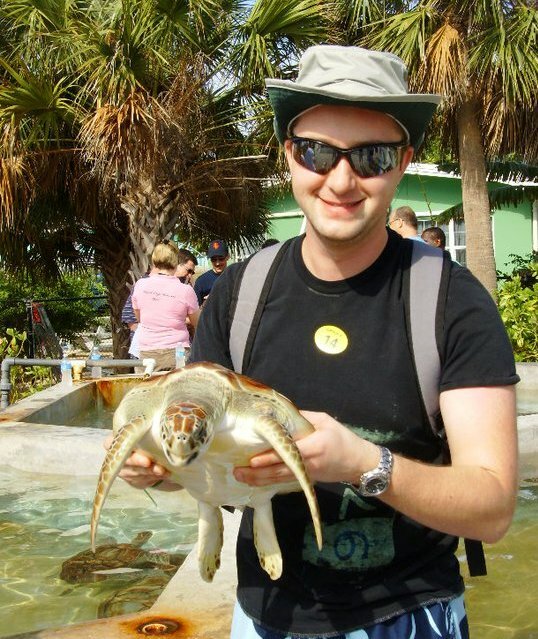 What was it like at the turtle farm, you ask? Well, it was a facility just for breeding , so most of the turtles in the tank were as big as four dinner plates and weighed anywhere from 200 to 300 pounds. The one I picked up for a photo-op was still a baby, only about ten pounds. But their flippers are strong and they all hate being out of the water. The one my partner held was roughly about thirty pounds and he gave us a mighty splash while he returned him to the water. Strangely, the turtle farm also had lizards on the small beach off the pond, looking like lizards you’d find in pet stores on land. our own cameras. Instead, the facility’s photographer took photos of the dolphin, Darwin, coming up to touch our outstretched hands or the volleyball we each took turns holding, while we stood in waist-deep saltwater in the tank. We also petted him, danced with him and shook his flippers. It was a great experience and the only thing I would want to improve on with it is to actually be able to ride the dolphins and swim with them as well. On the way to shore, we also noticed several pirate ships that you could have excursions on. If we did get the opportunity to go back to Grand Cayman, I would definitely take that up as an excursion. 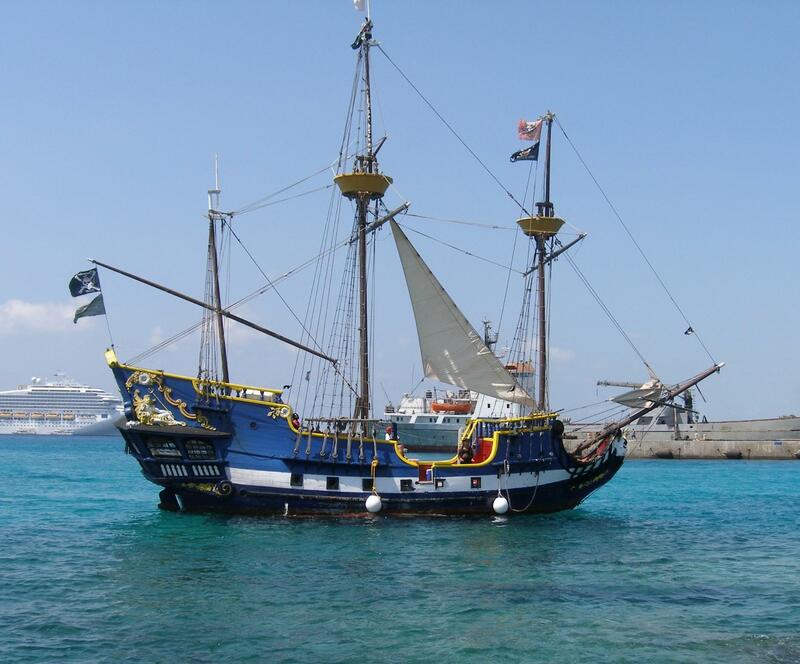 Although we didn’t get a personal tour of the pirate ship, there were still several pirates on shore; including ones featured at Grand Cayman’s famous Tortuga Rum Company. Rum cake, coffee and liquor are plentiful in any of the stores in Grand Cayman, in fact you can purchase Tortuga rum for $10 duty free. 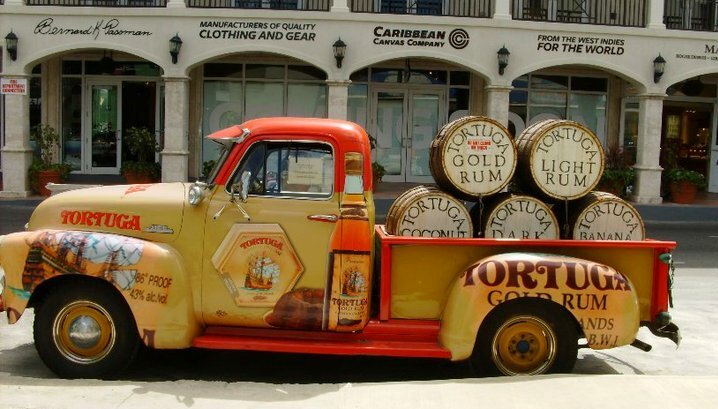 They even had a rum delivery truck to complete the pirate motif. I’ve since tasted the pineapple rum that we purchased on the island and it is delicious. I highly recommend Grand Cayman for the rum, the turtles, the pirates AND Jimmy Buffet’s Margaritaville as the one close to port had a rooftop slide and pool as well as a DJ. When we came back from a day on shore at Grand Cayman, we took part in a rum tasting. I would advise against tasting Bacardi Superior as I taste-tested half a shot glass worth and it still burned 15 minutes later. However, Cruzan Coconut Rum was very smooth and tasted amazing. It was also the start of our winning streak as my partner correctly guessed the name of a rum cocktail and received the drink for free. But, let’s leave Grand Cayman for now and head over to Roatan, Honduras. The trip to Roatan on Tuesday was bumpy at best, semi-dangerous at the worst. With the strong waves, the ship couldn’t pull into the new port of Mahogany Bay that we were scheduled to pull into, instead we pulled into the old port, known simply as the Port of Roatan. The sky was clear and sunny and the water was gorgeous, blue and clear. However, there wasn’t much to see in port beyond local souvenir shops and jewelry stores such as Diamonds International; which is an enormous company in the Caribbean. Unfortunately, there weren’t any local goods such as the rum coffee in Grand Cayman that I was able to purchase or partake in. The weather was still warm and beautiful and we took the time we did spend in port to appreciate the gorgeous scenery. 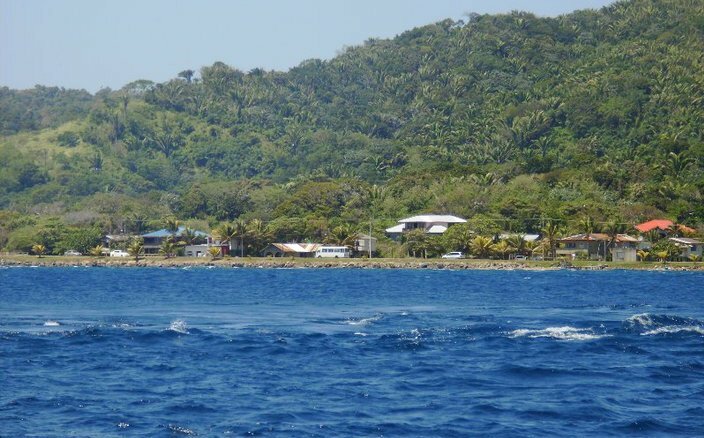 If we do have another opportunity to see Roatan, I would hope that we would be able to see the new port and hopefully experience a shore excursion such as zip-lining that would give us a better feel of Roatan. I’ll cover the other two ports, Conzumel, Mexico and Princess Cays, Bahamas in Part Two of The Crown Princess Cruise Experience. I’ll leave you with this breathtaking sunset taken from the ship as we sailed away from Grand Cayman.